Here's how to import your podcast RSS feed into Omny Studio. When you first create your Omny Studio account, you'll be prompted to import an existing podcast as part of the setup process. Omny Studio's RSS importer will make a carbon copy of your podcast including all your episodes, artwork and descriptions. 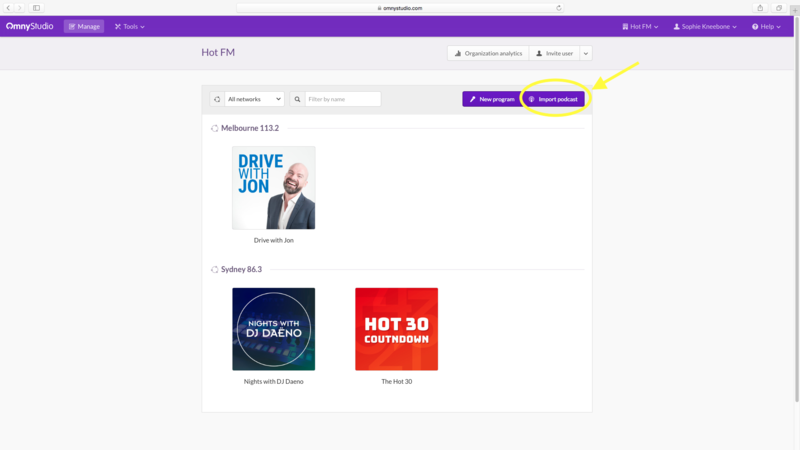 Go to your Omny Studio organisation homepage and click "Import Podcast". 2. 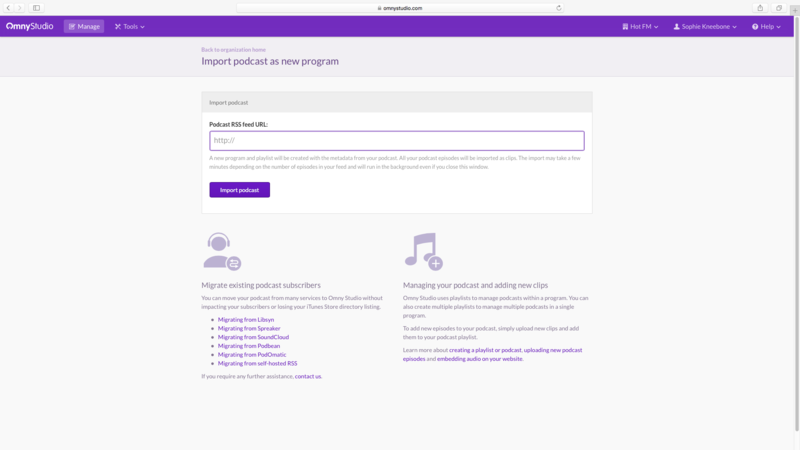 Paste your podcast RSS feed URL into the box and click "Import Podcast". You can keep using Omny Studio while the podcast is importing or feel free to leave the website and you'll get an email notification when it's done. Once your import is complete, you're ready to migrate from your old host. Once you've imported your podcast feed, you may need to redirect it from another hosting provider. Here are some guides to moving from different services.